My Best Ever Session: 3m in El Lloret, G.Canaria. Nearly drowned but got 2!!! 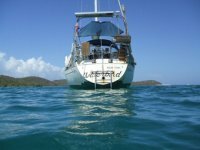 Last Surftrips: Currently on the search, on my 28' sailboat in Caribbean. Looking for a secret breaks! 1053 Guests have visited this profile..